If you want to motivate your students to read, and inspire the love ♥ for books, try this activity. You will be amazed by students’ reading improvement. Students take a reader home each night, and bring it back the next day to exchange for another book. 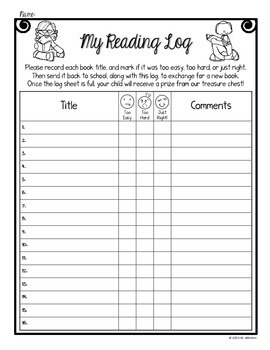 Parents fill out the log sheet indicating if the book was too easy, too hard or just right. Then you replace the book accordingly. 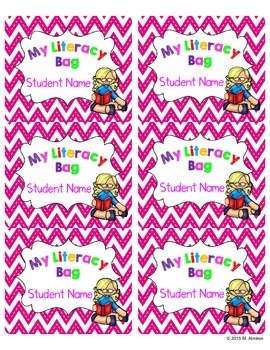 I use gallon size Ziploc bags, and attach the labels with students name to it. I insert the log sheet inside the bag, and a card that I print in color cardstock with tips and suggestions to try before, during, and after the reading. ✔ Introductory letter (completely editable, you can adjust the text to your needs), color and B&W. 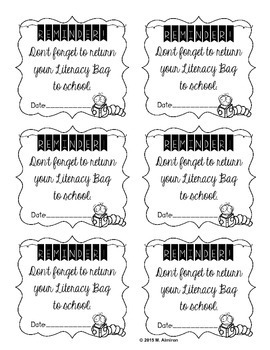 ✔ Literacy bag rules (completely editable as well) color and B&W. 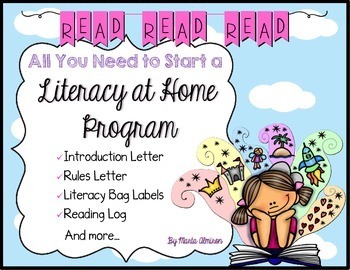 ✔ Reading tips (half page- to insert in the bag). Share with parents quick tips to try with their children before, during and after reading. ✔ Labels (for boys and girls (editable). Compatible with Avery adhesive labels 8164 (6 per page). ✔ Reminder note (send these when students forget to bring the bag back to school), 6 per page, color and B&W.